April 5, 2018 by C .T. C.T. 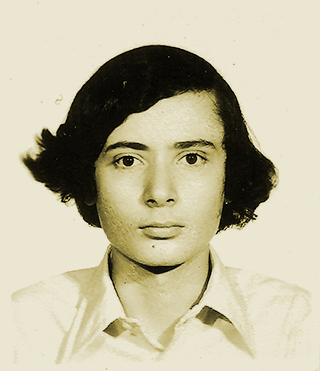 (born 1958) is a private scholar and writer living in Mexico City. He publishes in Spanish and English, with emphasis on analysis of childhood trauma related to abuse. He acts as a staunch advocate of combative white self-assertion, including his blog The West’s Darkest Hour. In 2017, C.T. recorded the production of English-language radio broadcasts. C.T. is the son of a composer known in Mexico in the tradition of classical music; his mother was a concert pianist. Remotely, he traces his origins back to Spanish ancestors. The parental home was not only very Catholic, it was also the place where he experienced maltreatment as a teenager: experiences that shaped his character. Decades later, he made this topic the subject-matter of various publications that aim to prevent such events. Mentally and spiritually, C.T. turned his back on Christianity in adulthood. He considers this religion to be an outrageous ‘death cult for whites’. All white values have been inverted by Christianity since its emergence in Europe, so that sub-humanism can be spread and triumph unhindered, while the white race is increasingly degenerating, to such an extent that it must fight for its bare survival. In his investigations and assessments C.T. uses the German philosopher Friedrich Nietzsche and the champion of white race interests, William Pierce, whom he considers the greatest spirit America has produced. Already at the conquest of the American continent, the Spaniards and Portuguese had spoiled their blood due to an ignominious, racial mixture of Christian convictions (‘all human brethren in Christ’). In this context C.T. strongly disagrees with what he calls ‘monocausalists’, who only blame the long-lasting, vicious Jewish influence, for the decline of whites. Long before Jews had set foot on American soil, the Christian European conquerors and colonists, including Englishmen and Frenchmen, were driven by greed to ensure that the conquered territories were filled with mestizos and Mulattoes. C.T. shows an exceptionally strong understanding and sympathy for the Germans, especially as far as their historical fate is concerned. In his opinion, the two world wars fought against Germany in the 20th century were the most fatal crimes that whites ever instigated. Instead of living peacefully in the guise of the ‘crown of evolution’, the Germans of that time, the leaders of the Anglo nations decided to create a world in which the cloaca gentium of the human race is on top. The most indispensable book that every white man should read to focus on the monstrous acts done to the Germans, and to provide a foundation for contemporary historical education and judgment, explains C.T., is Hellstorm: The Death of Nazi Germany, 1944-1947. Just for the record, I am not the author of the Metapedia article. Congratulations César! You have arrived and are hereby awarded the Andy Warhol fifteen minute grace period. Enjoy! You have 14 minutes 59 seconds remaining. The Germans of that time, the leaders of the Anglo nations decided to create a world in which the cloaca gentium of the human race is on top. Indeed. We’ve got one that can see! Cesar, that’s a pretty good write-up describing your position. My own primary reason for why I like your website is your relentless exposure of Christianity as socially malignant, which it is.